The Pop Rivets – Want to See Them or Not? Free choice of Pop Rivets! Stainless Steel Pop Rivets give you the High Performance/Off-Road /Racing/”Aircraft”/ High-Speed look. These are provided, unless you request the “Matching Color” Pop Rivets, below. 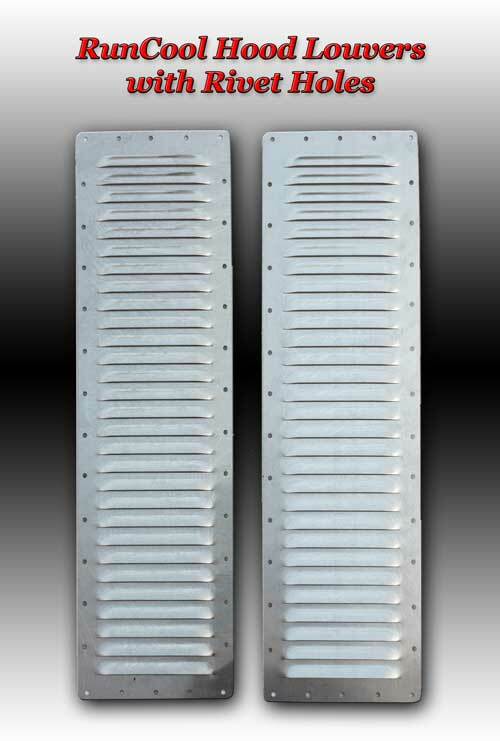 If you’d rather the Rivets NOT show, and you’re ordering our Black or White Hood Louvers, specify, instead, at no extra charge, our “Matching Color” (Black or White) Pop Rivets which blend right in with the Black or White Hood Louvers and are NOT noticeable. These are the choice of the U.S. Border Patrol, Police, Sheriffs, etc. – who want the Rivets (and the Hood Louvers) to blend right in. Stainless Steel pop rivets, for the High Performance/Off-Road/Racing/High Speed look. OR “Matching Color” pop rivets (when ordering the Black or White Hood Louvers) that blend right in and are not noticeable.